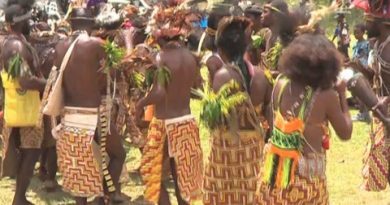 The Business Council of Papua New Guinea has pointed out three areas to partner with the government to develop the business sector. These areas include creating social partnership programs between government bodies and private companies, and reviewing the economic policy. PNG Business Council President, David Toua, made these recommendations at the 2015 President and Prime Minister’s Business Breakfast this morning. Amongst the points raised on improving Papua New Guinea’s business sector, the business council wants the government to focus on the economic policy, business regulatory reform and social partnership programmes. Toua described these points as critical areas, and says with the talent, resource and government leadership, these points can be achieved through state and public partnership. The economic policy dialogue was classified as the council’s core relationship with the state, and the council is embarking on creating a progressive and appropriate working environment in all government offices. Toua says the right kind of policies; incentives and tools are needed to achieve desirable outcomes that can improve our economy against other economies. In the business regulatory reform, the council suggested a number of areas that needs improvement. This includes, lifting the certification and standards of goods and services qualification to match global standards, and create favourable taxation regime that focuses on business growth. They also propose social partnership programmes that are people-focused. The council is in close dialogue with the United Nations Development Programme and the National Planning and Monitoring Department, in creating programs that are in line with the government’s social priority areas. When responding to the three points, Prime Minister, Peter O&rsquO’Neill, acknowledged the proposed state-business council partnership. He said changes are slowly being made in government offices and his government remains focused on delivering services to the people. 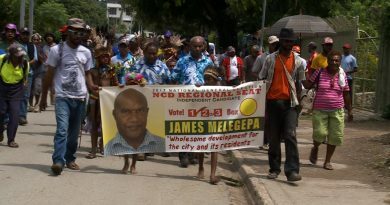 Meanwhile three new policies will be launched by the planning and monitoring department that will addresses some of the points raised by the PNG Business Council.